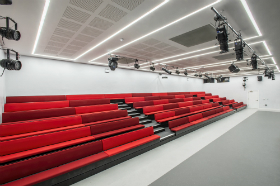 Hussey Seatway has developed an enviable reputation for providing quality seating to education, sport, theatre, entertainment venues and other multi-purpose venues across the world. We develop bespoke concepts and designs and offer an extensive product range, unsurpassed customer service and exceptional standards. 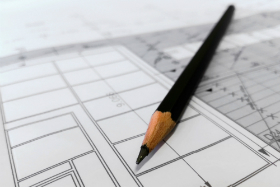 From initial discussions with specifiers, contractors and customers, we prepare comprehensive proposals through the provision of detailed quotations, specifications and drawings. We provide a no obligation consultancy service, which includes site visit(s), should this be required. Our sales team have a solid technical understanding of our products. We have a creative design and engineering team that are adept at tackling difficult, demanding projects. We use the latest CAD technology to produce schematics and detailed drawings to help visualise concepts. All products are designed for style and comfort as well as being engineered for safety and performance. 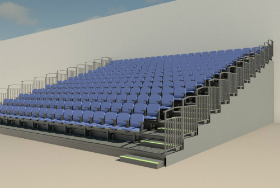 We are industry leaders and acknowledged experts in the design, manufacture and installation of retractable, bleacher and fixed seating. 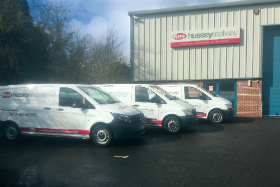 The Hussey Seatway team have collectively over 200 years of experience within the seating industry. We strive to exceed our clients’ expectations and ensure complete satisfaction. 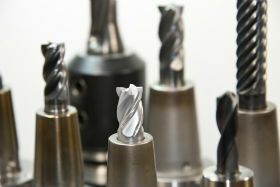 We have our own assembly operations and a group of manufacturing partners who operate modern, computer aided manufacturing facilities. These facilities are global and this gives us choices and high standards on five key measurements: Quality; Technology; Design; Financial; Competitiveness. 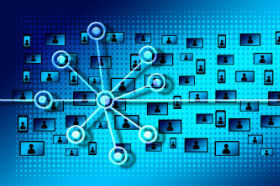 We operate our own sophisticated management system for each and every project. This enables us to provide clear and visible progress reports for our clients. 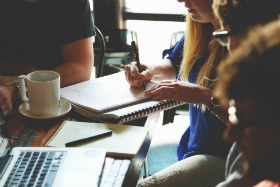 Your initial sales contact remains your project manager throughout the life of the project, therefore you only have one point of contact and details of the role are not lost between staff members. We feel that this is the process which is most satisfactory for our clients. Hussey Seatway products and services conform to all relevant British, European and North American standards for strength, stability, layout and fire retardancy.We are proud to provide management resource to the Institution of Structural Engineers, and the BSi and CEN committees presently working on public seating products. 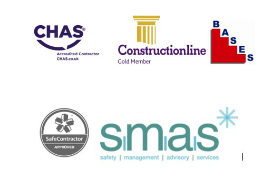 We are also proud to be a CHAS accredited contractor, Constructionline certified, SMAS certified and SafeContractor approved. 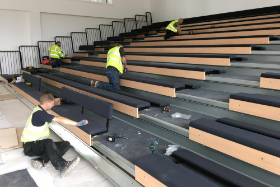 Installations are carried out by fully trained staff who hold all necessary supervisory and H&S qualifications, ensuring projects are installed on time, on budget and most importantly safely. On completion of your installation, comprehensive training is provided to the end user. A hard copy and electronic O&M manual is provided.